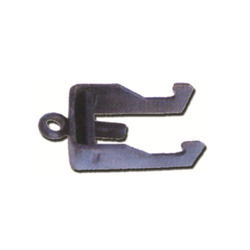 We are extremely emerged in offering Single Clamp, manufactured at vendors. The offered products are available in various customized options as per demanded specifications from our esteemed clients. These products are manufactured using superior grade raw material with the help of latest technology and tools in conformity to set industrial norms at vendors end. Moreover, we deliver these products within stipulated time frame.